Ana Pereira, from Portugal, is a Field Target World Champion. In the three videos below, Ana explains her sport and interviews other Field Target shooters. Field Target competitors shoot air rifles from a variety of positions over a multi-station field course. Targets are typically placed 9m to 50m distant (minimum distance rules vary country-by-country). Targets are usually small animal shapes that fall down when hit. There are a variety of air gun classes for Field Target, with the most exotic pre-charged pneumatic rifles costing many thousands of dollars. Field Target Shooters use very high-magnification scopes fitted with large side-wheels that control the parallax. The shooters use the parallax control to range the distance to the target and then adjust their elevation accordingly. In the video below, featuring the Steyr LG110 Field Target Air Rifle, you can see how the large side wheels are used for distance-ranging. In the United Kingdom, most shots may be taken in any stance, but the seated position is the most popular due to its stability (and often one must shoot over logs or tall grass, so the prone position is not practical). Most competitors carry a small beanbag or cushion to sit on while shooting. It may also be used under the knee or to support the ankle during kneeling shots. Targets are shot from “gates” in a firing line, and are divided into “lanes” of two targets each. Targets are often placed at about the same height as the shooter, but it is not uncommon for them to appear high up banks or in trees, or down steep slopes. The hit zone of a target is circular, usually 40–45 mm in diameter, although “reducer” targets as small as 25 mm may be employed for closer-range shots. Ana Periera Interviews Springer Class World Champion Heli Jalakas in Estonia. Share the post "Learn About Field Target Competition from Champion Ana Pereira"
Here’s an interesting product from Radians — 25 NRR earmuffs that include a built-in AM/FM radio. No, this is not what you want during a shooting match — because you want to be able to hear the match directors’ commands. However, we can see situations where the ability to receive radio programming can be beneficial. These could be handy for long practice sessions when you are spotting for fellow shooters, or these AM/FM muffs could be useful if you are spending the afternoon working with noisy power tools on your property. The $69.99 (MSRP) Radians AMFMD1C features an LCD display with digital tuning. Eight stations can be stored in memory for both AM and FM bands. An Auxiliary Input Jack and included ‘patch cable’ make it possible to use a smart phone or MP3 player as a audio source. Radians will showcase its new digital radio hearing protector at the 2014 SHOT Show in Las Vegas. If you are interested in audio-capable “enhanced” earmuffs, Howard Leight, Peltor, and Stanley all make similar products. The Howard Leight has digital AM/FM tuning, a comfortable headband, Hi-Viz Color, and a NRR 25 rating. The 3M Peltor offers seek/scan, gel foam inserts, and a NRR 23 rating. 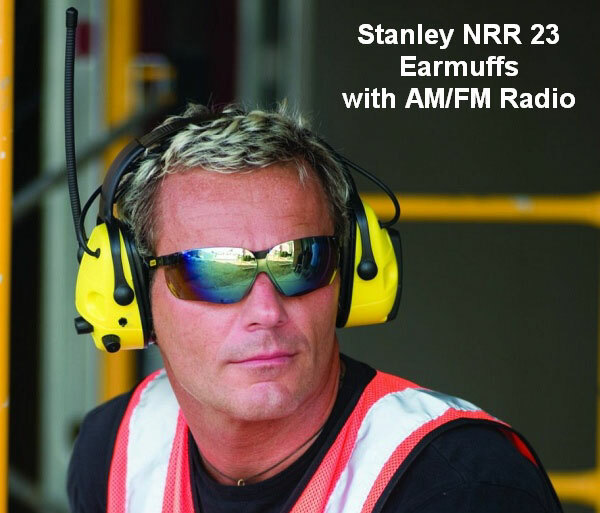 The Stanley RST-63005 has a durable, light-weight shell, auto shut-off feature, and a NRR 23 rating. 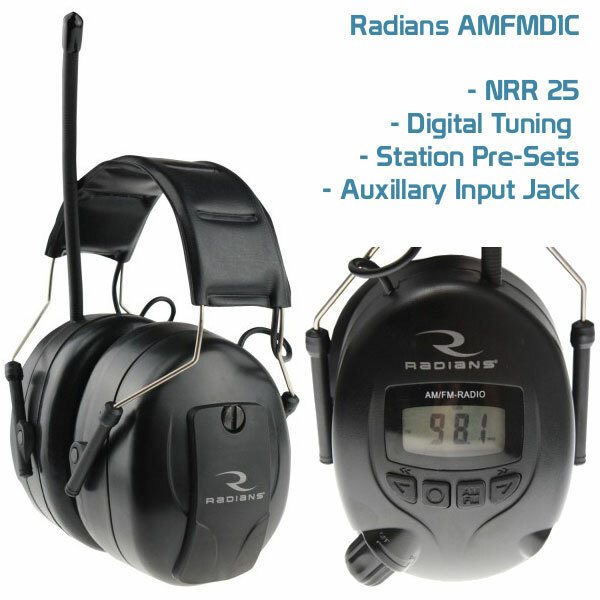 Share the post "Radians Offers Earmuffs with Built-In AM/FM Radio"